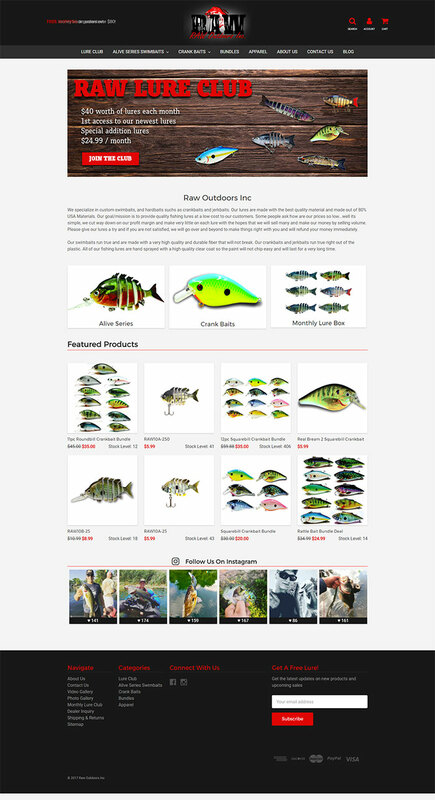 Raw Outdoors Inc is a custom lure manufacturer based out of Kellyville Oklahoma. Their website originally was a hard coded system that used paypal “buy” buttons for each product that hard coded on their site. We converted them to a modern ecommerce platform and streamlined their day to day operations for online orders. A new and improved site design strengthens their brand story throughout the site.